So once again, Stewart has returned to the territory that has defined the last decade of his remarkable career. With FLY ME TO THE MOON…THE GREAT AMERICAN SONGBOOK: VOLUME V, he adds a fifth chapter to the chart-topping, multi-platinum, Grammy Award-winning series. 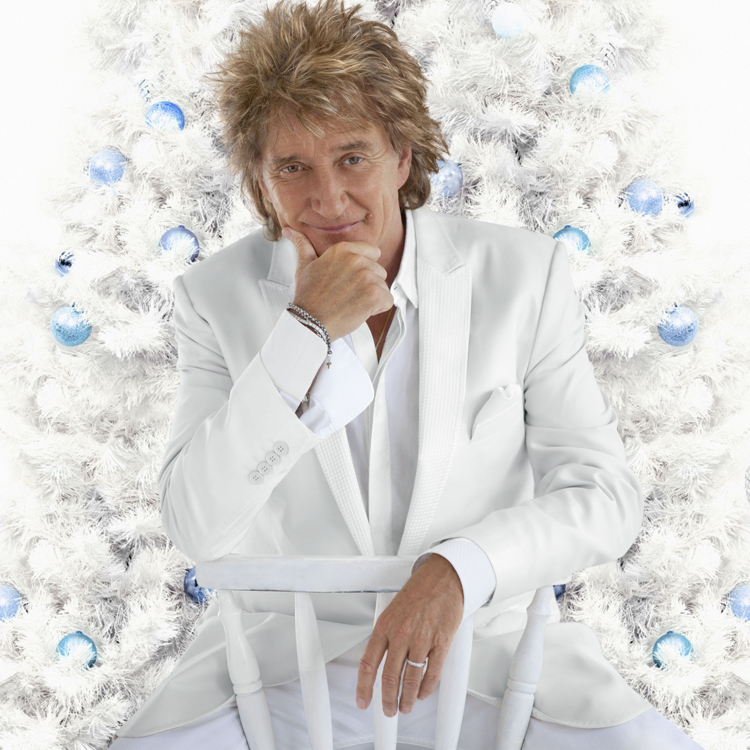 On the new album—produced by Richard Perry and co-produced by Rod Stewart, Clive Davis and Lauren Wild – Rod Stewart infuses his incomparable vocal style into 12 iconic standards written by Cole Porter, Johnny Mercer, Henry Mancini, and many others. The immortal compositions on the set include “That Old Black Magic,” “Beyond the Sea,” “What a Difference a Day Makes,” “I’ve Got You Under My Skin,” “I Get A Kick Out of You,” and many more. 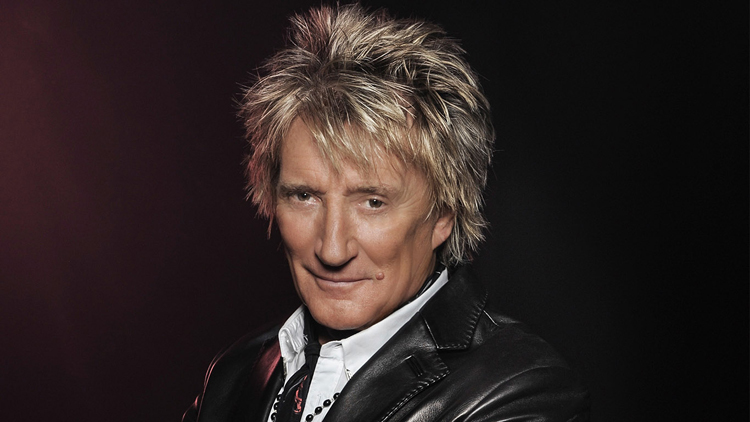 Rock and Roll Hall of Famer and Grammy™ Living Legend Rod Stewart has been lauded as having one of the most distinctive voices in pop music. The success of the “Great American Songbook” albums, which began in 2001 with It Had to Be You…, is truly unprecedented; it is the biggest selling ongoing series of new music recordings in history, with over seventeen million copies sold worldwide. FLY ME TO THE MOON…, which reunites Stewart with longtime collaborators Richard Perry and Clive Davis, is the first addition to the collection since 2005′s Thanks for the Memory…The Great American Songbook: Volume IV. During the five-year break between “Songbook” albums, Stewart took a couple of genre detours—in 2006, he released Still the Same…Great Rock Classics of our Time, his first rock album in eight years, which entered the Billboard album chart at Number One and followed that with Soulbook, a 2009 collection of classic Sixties/Seventies-era soul favorites, which debuted at Number Four. For the fifth outing, though, Stewart opted for a slightly new direction and sound. 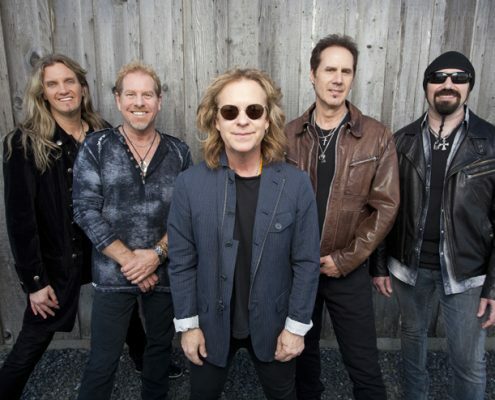 “Richard and I decided that we wanted to go more up-tempo this time,” he says. “Clive described the previous records as being kind of ‘Fred and Ginger’—which was great, but I wanted to break the mold a bit. I was getting tired of all the tempos sounding a bit the same. Even with its modified style, FLY ME TO THE MOON… continues in the history-making tradition of the “Great American Songbook” album series. 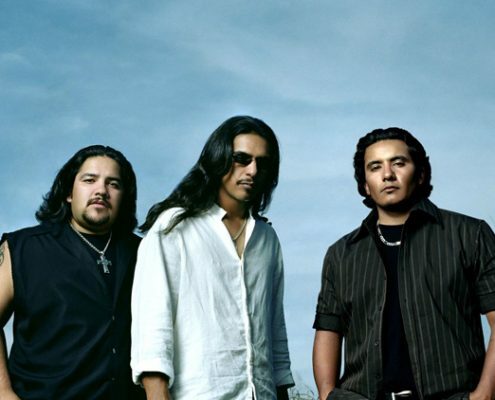 All four of the previous “Songbooks” were massive Billboard Album Chart toppers, including the last installment, 2005′s Thanks For The Memory …Volume IV, which entered the chart at Number Two. 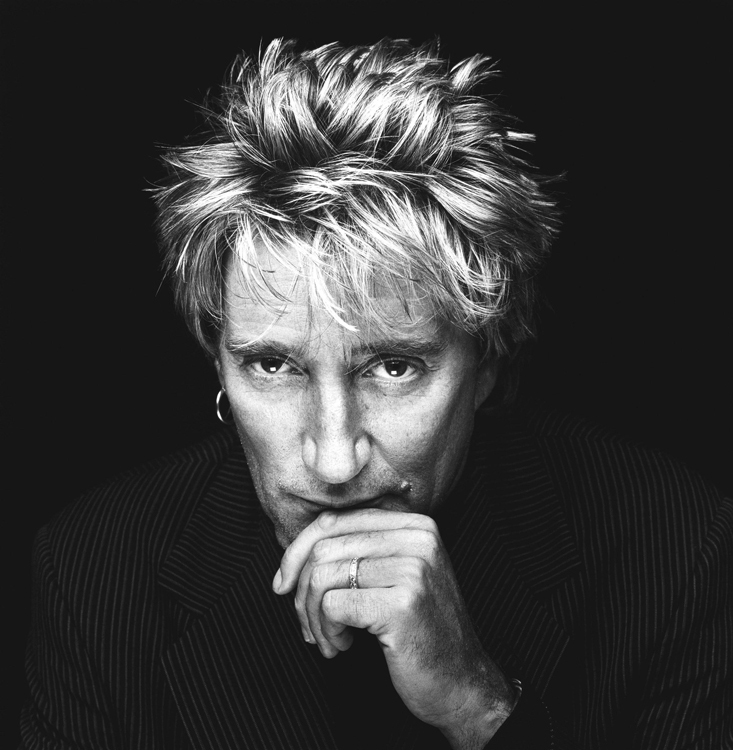 In 2004, Stardust became Stewart’s first ever Number One debut, and earned Rod the first Grammy of his career. As Billboard noted, Stardust also placed Stewart in the extremely rare company of veterans with more than two decades between Number One albums. 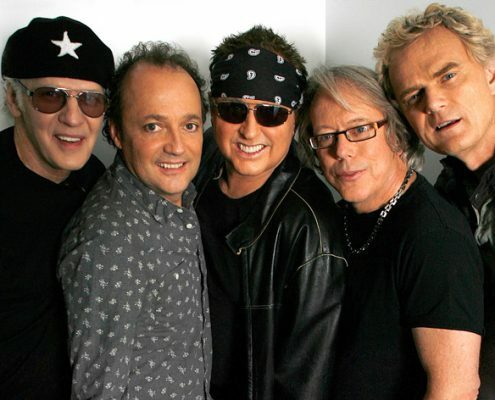 The first “Songbook” album, It Had To Be You… (released October 2002), entered the Billboard Top 200 at Number Four, and As Time Goes By…Volume II (October 2003) debuted at Number Two. The first three albums of the “Songbook” series were all Grammy nominated in the Best Traditional Pop Vocal Album category, and all have been certified RIAA platinum in the US. Nor has Stewart slowed down in the interim. He just wrapped up a Boxscore chart-topping, 33 date European summer tour which enjoyed the biggest concert gross to date this year abroad, including four sold out dates at London’s O2 Arena. With an estimated 250 million in album and single sales, Stewart is one of the most successful performers of all time. No less than the Godfather of Soul, James Brown, called Stewart “the best white soul singer.” But no one could have anticipated that at a time when most pop stars would be content to coast on their past accomplishments, he would create an entirely new creative course for himself (which has since become frequently imitated), much less an innovative way to spotlight his much-loved and acclaimed vocal gifts. 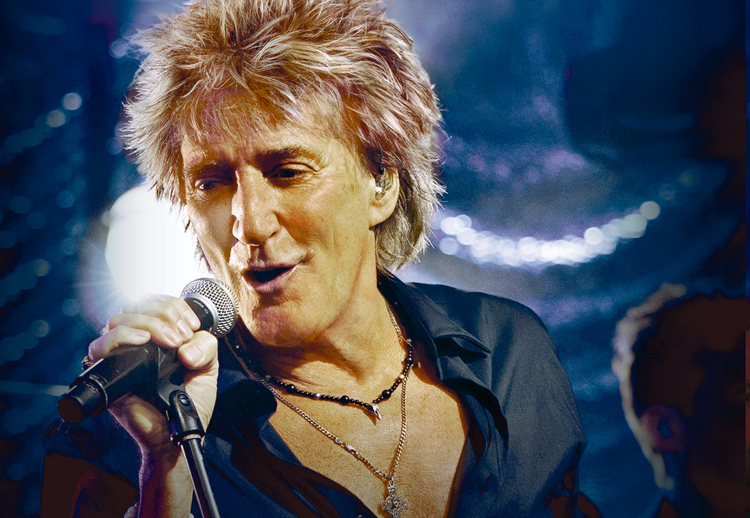 Rod Stewart and his characteristically throaty, impressively expressive, and surprisingly versatile voice had been knocking around the London club scene with groups like Steampacket and Long John Baldry’s band before he connected with ace guitarist Jeff Beck in 1968. Their collaborations in the Jeff Beck Group brought Stewart to the spotlight on the blazing Truth and Beck-Ola albums. But it was when Stewart joined forces with the greatest party band in rock history, the magnificent Faces, that he truly hit his stride. For about a half-dozen years, Stewart went back and forth between recording and touring with the Faces (“punk prototypes,” as Wilco’s Jeff Tweedy has called them) and launching his own wildly successful solo career. 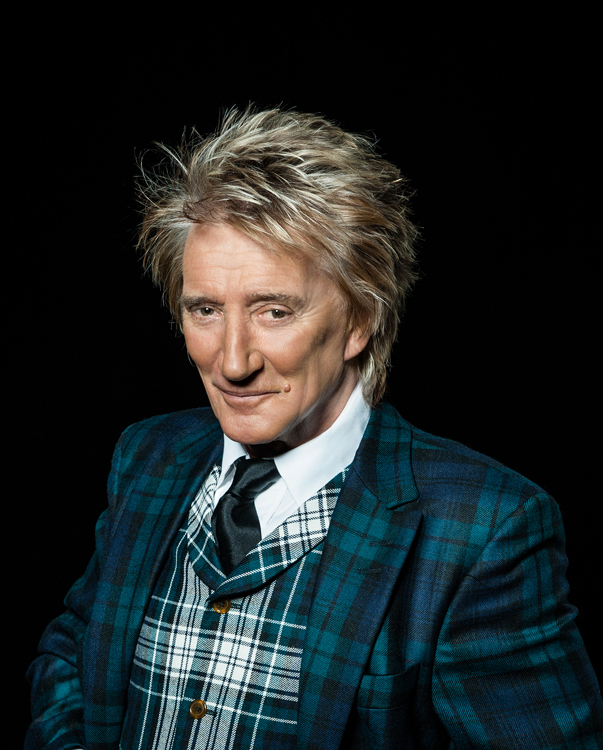 After his first two albums on his own—1969’s The Rod Stewart Album and 1970’s Gasoline Alley—revealed the range and artistry of a vocalist previously best known as a shouter, everything came together for Every Picture Tells a Story in 1971. 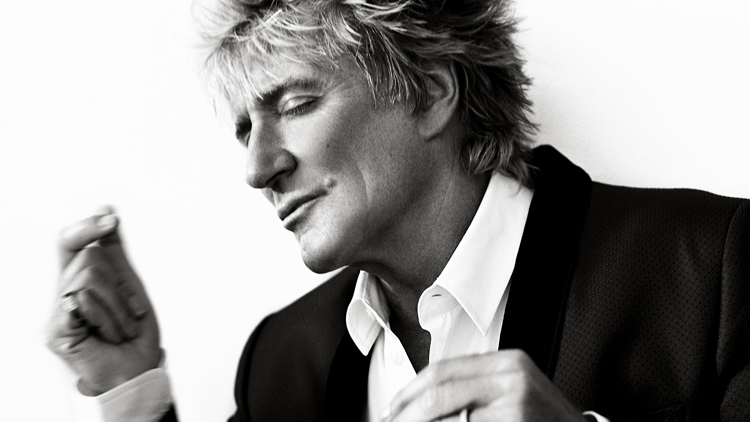 Universally acknowledged as one of the greatest rock albums of all time, it includes Stewart’s soulful, commanding takes on folk, R&B, and blues material; the astonishing title track; and the international Number One smash, “Maggie May.” The album also demonstrated that along the way, he had become a top-flight songwriter. 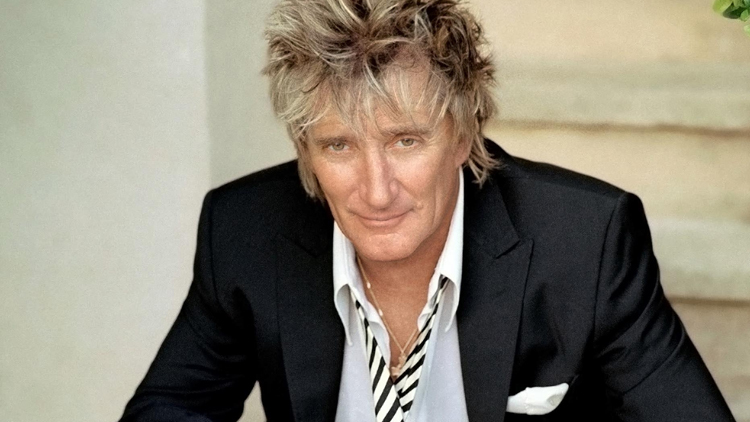 Throughout the ‘80s and ‘90s, Rod Stewart remained a consistent presence on the charts, with smashes like “Young Turks,” “Forever Young,” “Downtown Train,” and the massive “All for Love” trio alongside Sting and Bryan Adams. His Unplugged…and Seated set reunited him with Faces mate Ron Wood, and resulted in a big hit with his intimate version of Van Morrison’s “Have I Told You Lately.” As the century turned, Stewart underwent throat surgery to remove a benign cancerous node, and also tackled some of his most ambitious material—from contemporary Brit-pop on When We Were the New Boys to new-school R&B on Human. And the more you think about it, the more logical a step it actually was. 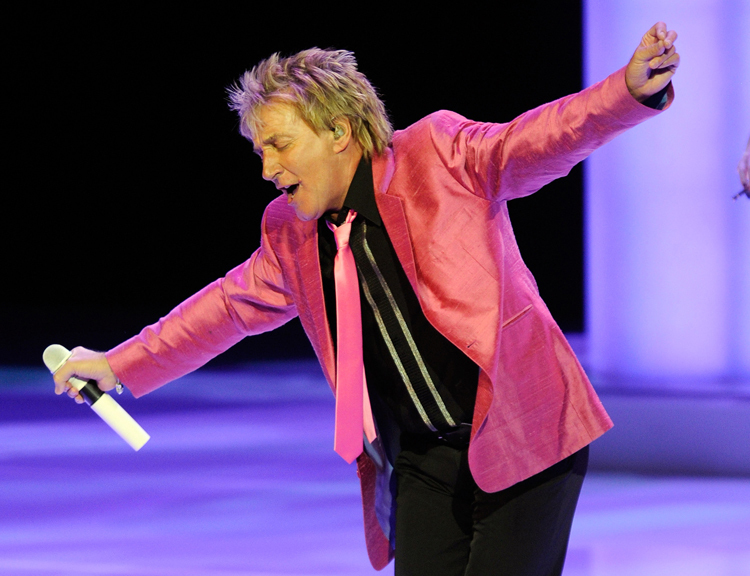 Rod Stewart has always been a remarkable interpretive singer—throughout his career, he’s recorded songs by the finest contemporary songwriters, from Bob Dylan to Curtis Mayfield, from John Lennon and Paul McCartney to Cat Stevens. Aside from that unique vocal tone, perhaps his greatest strength is his ability to put across a great set of lyrics clearly and directly. “I prefer doing slower numbers,” Stewart said as far back as 1970, in an interview with Rolling Stone at the height of the Faces’ popularity. “For a vocalist, a slower number lends itself better than anything else. In opportunities for phrasing, it’s much more free.” Certainly, his cosmopolitan, jet-set persona meshed easily with the sophistication and sexiness exemplified by America’s pop classics. As Stewart took to the road behind It Had to Be You…The Great American Songbook, he continued to strengthen a following for this material. 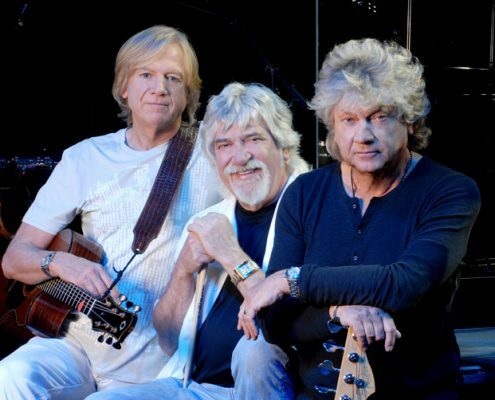 The “From ‘Maggie May’ to the Great American Songbook Tour” (captured on the One Night Only! Live at Royal Albert Hall DVD) was completely sold out for three years in a row. In 2003, he released As Time Goes By…The Great American Songbook: Volume II, which included duets with Cher and Queen Latifah. This time, he entered the charts at Number Two. With 2004’s Stardust…The Great American Songbook: Volume III, the “Songbook” series established itself as a truly historic phenomenon. The album entered the charts at Number One—the first chart-topping debut of Stewart’s career, and his first Number One in more than 25 years. Guests on Stardust included Eric Clapton and Stevie Wonder, adding a more modern edge to these beloved tunes. The resultant tour was one of the year’s five biggest, and to cap it all off, there was a long-awaited Grammy for “Best Traditional Pop Vocal,” Stewart’s first trophy after 14 nominations over the years. With Thanks for the Memory…The Great American Songbook: Volume IV, he streamlined the arrangements, and shook up the “Songbook” formula by adding some different flavors into the mix, especially a duet with Chaka Khan on Sam Cooke’s “You Send Me,” and songs with Elton John and Diana Ross. A number of remarkable guest stars contributed to the Soulbook recordings. Mary J. Blige and Jennifer Hudson joined Stewart for duets, while Smokey Robinson and Stevie Wonder contributed to new versions of their own songs. 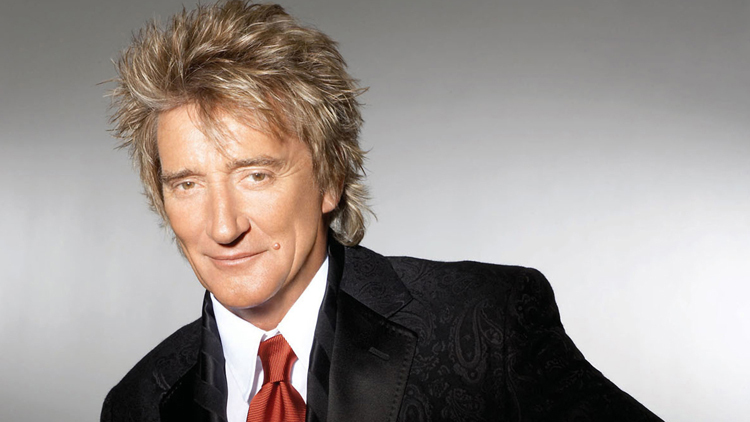 After these forays into material from his own generation, though, Rod Stewart was ready to get back to the classics from the 1930s and ’40s that played in his own household during his youth. He and Richard Perry began meeting for dinner, discussing song choices, and sketching out a sound. The results, featuring swinging horns and finger-snapping rhythms, break new ground for the “Songbook” series. Stewart sounds relaxed and playful on a sassy rendition of “Love Me or Leave Me”; “September in the Rain” is played as a cool shuffle, complete with a vibes solo. Not that the romance of the “Songbooks” is absent from FLY ME TO THE MOON…—”What a Difference a Day Makes” and “My Foolish Heart” feature vocals that are notably expressive and intimate.